In the near future, climate change will likely drive consistent and systemic reductions in the harvests of the poorest farmers (page 3 of the report; Clayton Smith/WorldFish/Flickr via Creative Commons). Zambia, like most of the Least Developed Countries (LDCs), is facing a future in which climate change will consistently negatively affect smallholder crop production. The effects are already being felt in this southern African nation, where smallholder farming is the norm. This case study* considers one approach to making climate resilience an on-the-ground reality for smallholder farmers. As part of Irish Aid’s Climate and Development Learning Platform, with Self-Help Africa, Ministry of Agriculture and Zambia Meteorological Department, and IIED, climate farmer field schools were established in Zambia’s Northern Province in 2016. The schools provided experiential learning around locally relevant climate- resilient agriculture. Using farmer demonstration plots, smallholders were supported to systematically adjust business-as-usual cropping strategies according to calculations of climate risk. The approach — centred on gradual knowledge transfer to the poorest smallholders — is promising, but more seasonal cycles must be completed for a full set of results to be available. We present details of the methodology in this case study to enable this work to be taken forward and replicated by local government and other institutions committed to climate-resilient smallholder farming over the medium- to long-term. *Download the full report from the right-hand column. A summary of the key points from the report is provided below. In February 2016, Irish Aid, IIED and partners began to trial the participatory Climate Farmer Field School (CFFS) methodology. This approach sought to increase cropping strategies’ resilience to climate shocks and stresses, using two key inputs: local knowledge and the seasonal forecast. c) smallholders’ ability to apply micro-adaptions to crop production, and their success. Step 1a: Identify previous climate hazards to business-as-usual cropping strategies over the past five years and establish the climate ‘coping range’ for crops, specify thresholds where variability becomes hazardous. Step 1b: Combine information on crop-hazard interactions with the seasonal forecast to calculate climate risk in the next season. Step 2: Use calculations of climate risk to adjust the business-as-usual crop planting preferences, and in doing so, establish the climate- resilient (risk-adjusted) cropping strategy. Risk calculation (page 6 of the report). The CFFS model enabled the project partners and LEG farmers to conduct location-specific risk assessments for their ‘business-as-usual' cropping strategies. By applying tailored climate-risk calculations to each crop, smallholders and their support institutions — for example, the Ministry of Agriculture, Department of Meteorology and nongovernmental organisations (NGOs) — could develop ‘risk-adjusted' cropping strategies. Four LEGs and the support institutions applied the CFFS methodology in four areas of northern Zambia: Chozi, Mfungwe, Shimumbi and Zombe. Each LEG took part in the experiential learning by adjusting theirbusiness-as-usual cropping strategy according to its climate-risk assessment, sometimes augmented by local or context-specific issues or micro-adaptations. Crops were planted in the demonstration plots in November 2016 and harvested in June 2017; this was a single above-normal rainfall season. The performance of the risk-adjusted cropping strategy was then compared to the yield from the business-as-usual scenario. In Mfungwe and Chozi the risk-adjusted strategies out-performed business-as-usual (+177K and +53K, respectively), while Zombe and Shimumbi showed the opposite (-296K and -110K, respectively). While the risk-adjusted cropping strategies performed best when the focus on maize was maintained — but poorly when cassava replaced maize — the crop was not tested by an exceptionally dry season (during which maize suffers and cassava provides an important insurance). Testing over multiple seasons will demonstrate this insurance-based characteristic of the method. The assessment signified disproportionate risk was often attributable to maize and, to a lesser extent, groundnuts. Climate losses to maize are typically associated with drier years (eg longer dry spells or low aggregate seasonal rainfall), but rainfall was sufficient for an abundant crop. One year’s results are not conclusive. To more fully understand the performance of risk-adjusted cropping strategies, it is necessary to run and evaluate the method as an iterative process. One season cannot provide conclusive results, but the findings do indicate a methodology worth investigating further. This case study offers a crash course in our approach to embedding climate-resilient agriculture practices with smallholders in Zambia. Over a season, the assessment was developed and communicated to technicians and facilitators in local institutions. These personnel then worked with local farmer groups in trials of the adjusted cropping strategies. Now, to ensure that the learning from this project continues in a sustainable way, local government should own and direct the CFFS methodology as a long-term iterative approach. Local governments, with adequate resources, can provide the recurrent engagement that smallholders need in order to learn the assessment method, reflect on practice, and appreciate the marginal benefits of systematically including local knowledge and climate information within their agricultural practices. In addition, local governments have the benefit of being a ready entry point, able to integrate these activities into ongoing work with smallholders. By design, risk-adjusted cropping strategies cover a range of climate outcomes. It takes implementation over multiple seasons (3–5 years) to demonstrate the marginal benefits of climate-resilient agriculture that are accessible to smallholder farmers. This methodology calls for a medium- to long-term iterative engagement with rural communities- testing, reflecting and building trust takes time. The CFFS methodology must be delivered by institutions that have a permanent mandate to develop the capacity of smallholder farmers, especially as they approach a future of fundamental change to climate conditions. Resources could be effectively directed through existing local government structures- including the Ministry of Agriculture and Meteorological Departments- which are able to facilitate collaboration and incentivise personnel with the necessary technical background to stay involved (see step 3). Climate information is inherently technical. The highest capacity technical personnel available to the smallholder LEGs- likely to work in local government or NGOs- should continue to be identified, trained in the methodology and incentivised to maintain a knowledge transfer programme that prioritises reaching the poorest smallholders. Enabling knowledgeable local facilitators, able to build long-term relationships with farming communities, is key for sustainability. The principal differentiator in the CFFS trial in the Northern Province was the amount of space afforded to different crops. However, to make best use of local knowledge, smallholder farmers’ nuanced and location-specific micro-adaptions must be integrated into the final climate-resilient cropping strategies, alongside other assessments and inputs. Nanja, D.H., 2017. 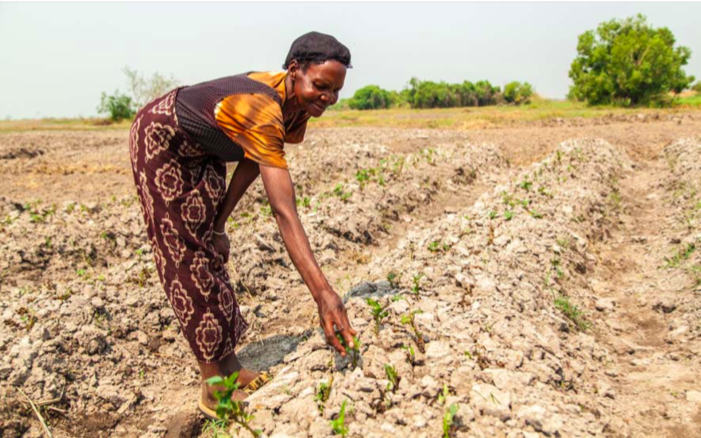 From climate risk to climate resilience: How Zambian smallholders are using local knowledge and climate data to adapt their cropping strategies. IIED. Available online here. Climate change impacts on African crops: how will they fare?